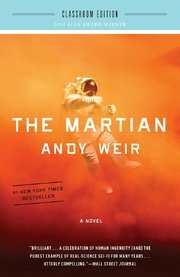 Let sleeping Martians lie, particularly if they have a strong grip: That’s one of the lessons you could take away from “Life,” the first monster movie set on the International Space Station. The movie – which opens today and stars Jake Gyllenhaal, Rebecca Ferguson and Ryan Reynolds – blends the gory horror of “Alien” with the harrowing suspense of “Gravity.” It’s a tour de force of simulated zero-G acrobatics (done mostly with ropes and wires). And it’s an orbital illustration of Murphy’s Law: Anything that can go wrong with having an alien on board does go wrong. Purists may have questions about just how wrong it goes. Could a minuscule life form brought back from Mars really get that big that quickly? Is it really possible to combine neural, muscular and sensory functions in one cell? 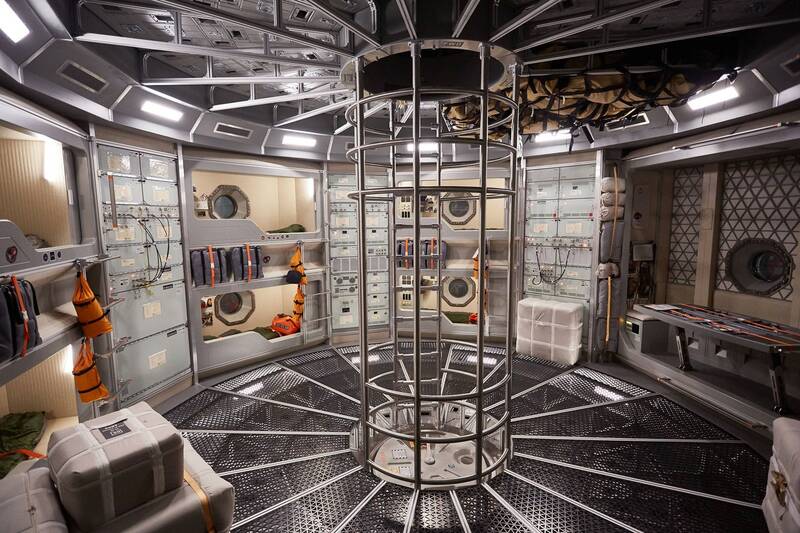 And just how easy is it for things to come loose (or get loose) on the space station? The deepest question may well be, does this nightmare have any chance of happening in real life? As scientists search for life on Mars and plot a way for people to live there in the future, Budweiser is hard at work figuring out how to make life in space a little more fun by developing a beer made just for the Red Planet. Today at South by Southwest Interactive in Austin, Texas, Budweiser announced its plans to research and produce a microgravity brew, on a panel moderated by The Martian star, Kate Mara, with retired astronaut Clayton Anderson, who discussed the future of space colonization. Ricardo Marques, vp of Budweiser, and Val Toothman, Anheuser-Busch’s vp of marketing innovation, outlined the experiments and research that will go into the Martian beer. The biggest challenge of brewing beer a space is the lack of gravity. “When you’re in a zero-gravity environment, a beverage with carbonation is going to be an issue,” Anderson explained. However, Budweiser is researching options to work with the micro-gravity environment that exists on Mars to develop a beer that can be consumed there. The director of Hannah Montana: The Movie and screenwriters with connections to 1990s young adult television series “Charmed” come together to deliver The Space Between Us, one of the most baffling and inane films of recent memory. The notion that a boy born on Mars, curious about and wanting to visit Earth, is an intriguing premise which, with the right writers and proper handlers, could be really all you need for a compelling movie. However, because we are marketing this movie to teens, we get what essentially plays like a pilot episode of a young adult television series on basic cable. And I don’t think this series would get picked up. There is a decent enough, if not logically wacky, beginning: an astronaut (Janet Montgomery) discovering she is pregnant, while in flight to Mars, dies on the Red Planet moments after giving birth to a baby boy. When we cut to 16 years later, the baby, now a teenager named Gardner (Asa Butterfield), is surrounded by a bunch of scientists, a robot, and astronaut and mother-like figure Kendra (Carla Gugino), all on a colonized Mars. The colonization is the brainchild of Nathaniel Sanders (Gary Oldman), a lifelong lover of space who turned his youthful dreams into his life’s work, the billionaire scientist keeping Gardner’s existence a secret from the public the entire time. Director Pritish Chakraborty has claimed that his forthcoming film “Mangal Ho” will be the first Indian science fiction comedy on planet Mars. “It is the first entertaining comedy film in India on the topic of Mars. Our tag line revolves around the theme first Indian civilisation on Mars,” Chakraborty told IANS. “Mangal Ho” is the story of an attempt to send a couple to Mars and to create a civilisation there, and has been portrayed in a light-hearted and humourous manner. Annu is the scientist who spearheads this ambitious mission. Actor Sanjay Mishra plays a Bengali businessman in the film. Chakraborty wants to release the teaser of the film on January 26, 2017. Is This What Living on Mars Will Look Like? Mars has long been a source of fascination for everyone from scientists to filmmakers, but the Red Planet is no longer the mysterious world it once was. With NASA’s Curiosity Rover exploring the planet and Elon Musk’s Space X dedicated to planetary colonization, the dream of humans living on Mars may soon be more than a sci-fi plot line. But for now, it’s still up to the magic of Hollywood to give us a preview. National Geographic takes on this new frontier with Mars, a new six-part series that blends interviews with real-life astronauts and scientists from NASA and Jet Propulsion Laboratory, with the fictional story of a Mars landing in 2033. Developed with Ron Howard and Brian Grazer, the show, which debuts November 14 at 9pm ET on the National Geographic Channel, follows the international crew of the Daedalus as they attempt to land on Mars in a reusable rocket and built habitats. Making a documentary with crews in 19 locations around the world is tricky. Making that doc intertwined with a drama set on two planets and over two decades is out-of-this-world complicated. “Mars” is National Geographic Channel’s most ambitious solo project. Premiering Nov. 14, it features scientists explaining how humans will colonize the Red Planet. Dramatic scenes are set in 2033 when a diverse crew lands. It’s a tough voyage. The show’s journey was almost as challenging. RadicalMedia initially wanted to do a documentary about Elon Musk, the visionary behind Tesla and SpaceX, who is making rockets to go to Mars. “Elon wanted to tell a bigger story about why, as humanity, we need to leave this planet and become an interplanetary species,” says Justin Wilkes, president, entertainment, RadicalMedia. Musk suggested Ron Howard and Brian Grazer become involved in making this a major production. Luckily, Jon Kamen, RadicalMedia CEO, and Wilkes are friends with Imagine Entertainment’s Academy Award-winning team. T-Mobile CEO John Legere wants to send someone to Mars. Legere on Wednesday offered on Twitter a trip to Mars for one lucky individual, provided that the offer gets more than one million retweets by 11:59 p.m. PT on Oct. 11.